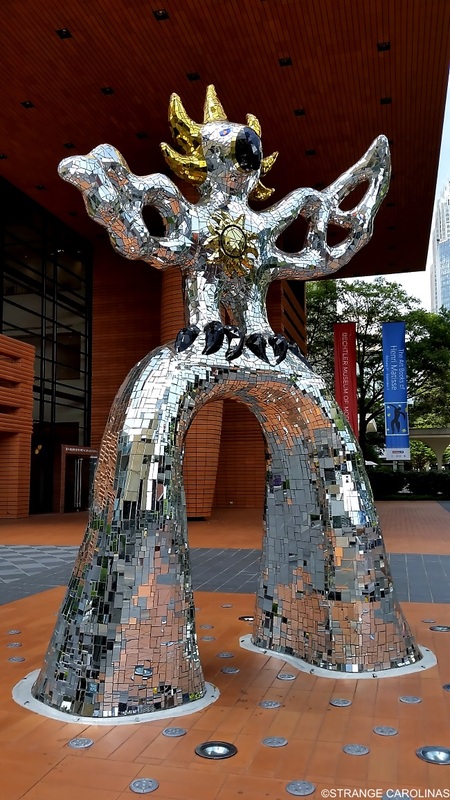 It's known as The Firebird. 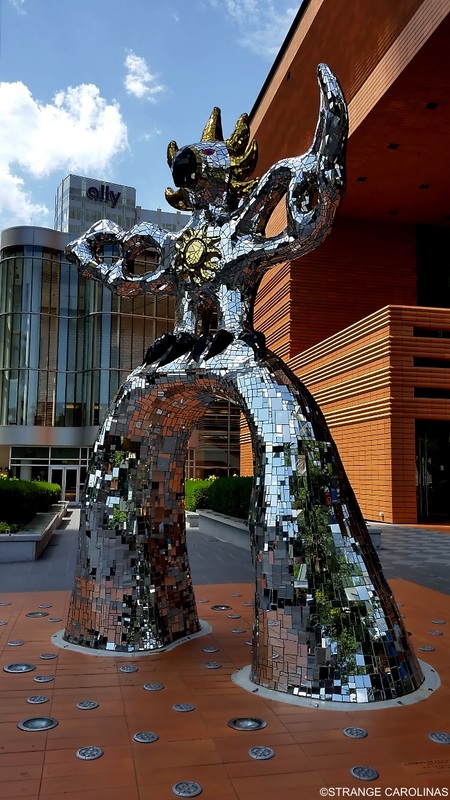 Many more called it Disco Chicken. Its real name is Le Grand Oiseau de Feu Sur l'Arche (which may or may not translate to The Big Chicken Wearing A Fire Leisure Suit At The Discotheque). 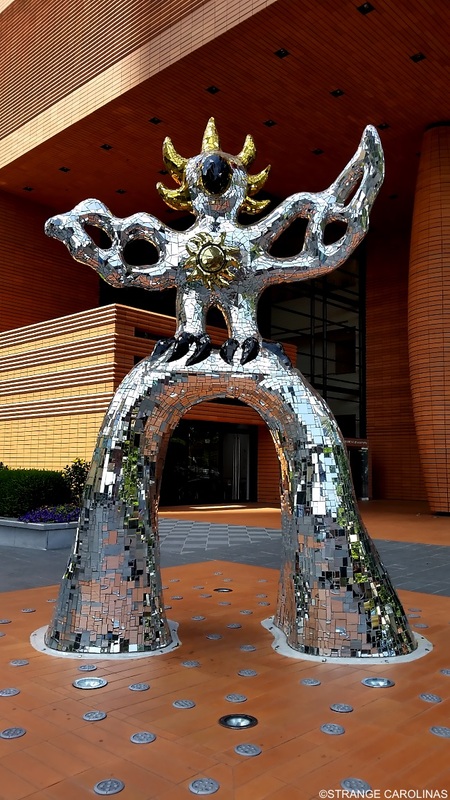 Whatever you want to call it, this piece of art outside of Charlotte's Bechtler Museum of Modern Art captivates many people each year. 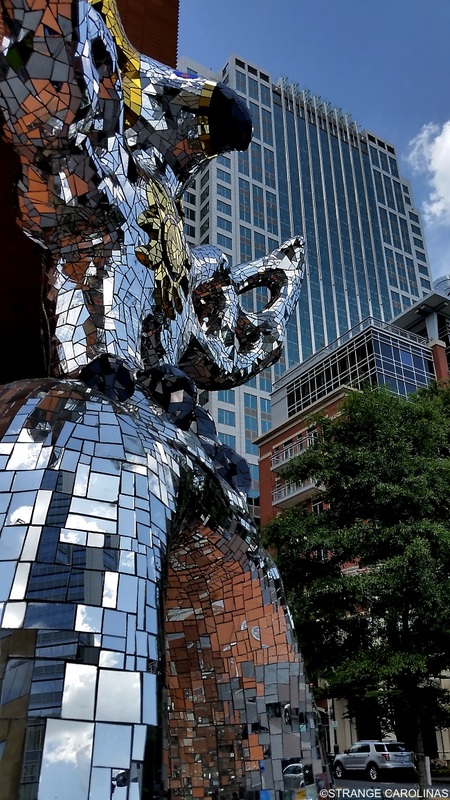 According to The Charlotte Observer, the Disco Chicken is a little under 17.5 feet tall, is covered with 7,500 mirrors, and weighs 1,433 pounds. I'd hate to see the egg that comes out of this sucker.